Real Estate signage is our specialty. Our screenprinted signs provide unsurpassed value, durability and quality that is ideally suited to the Real Estate industry. We can create a large number of signs with the same design for a fraction of the cost of using other methods. In many cases you can cut your sign budget in half! We have logos, colours and sizes required for the major companies, which makes it quick and easy for us to create a proof. Smaller firm? No Problem. We can replicate your logos and colours to work with our processes. At Alpha, we strive to fit your signage needs into your budget. Start with our 2-colour screenprint packages for the best value, and add decals, photos or reflective vinyl if necessary. Alpha makes it easy for you with our large selection of ready-to-go toppers and decals. 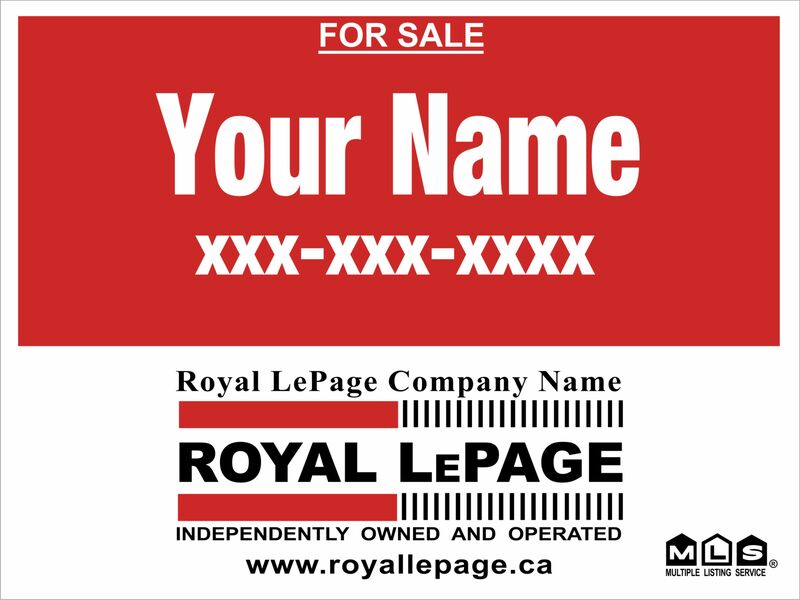 We stock more than 30 popular Real Estate messages, including SOLD, NEW LISTING, REDUCED and LAKE VIEW! If we don’t have the wording you need, we make custom toppers and strata signs quickly and affordably. Need Open House or Directional signs? Again, Alpha makes it easy for you.We have stock signs branded with the major Real Estate company logos for maximum value. Add your name for a personalized sign or start from scratch for a fully custom look. Alpha also specializes in large-impact signage - 4’x4’ and 4’x8’ sizes. 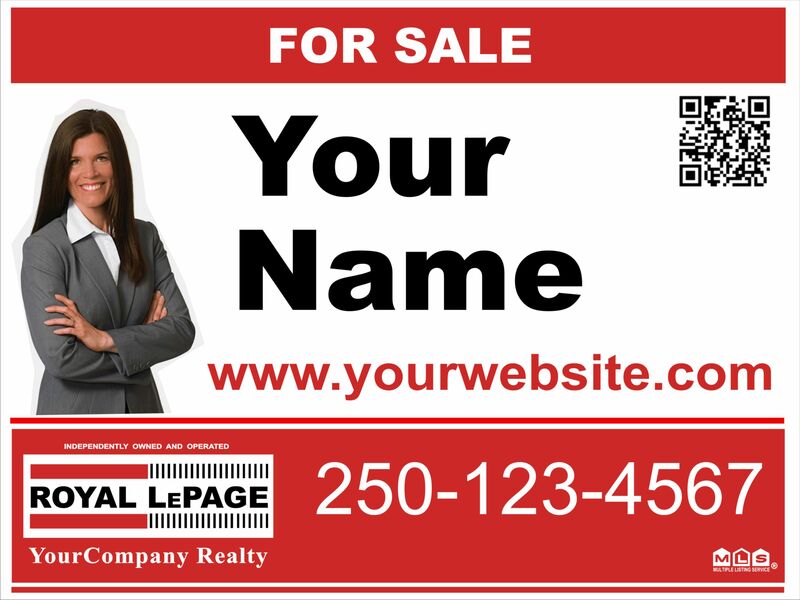 These signs attract attention to your listing AND your brand! Ask us about refurbing your signs so you can reuse them for maximum value! There’s one more thing you will benefit from when you call Alpha - our experience. We have specialized in Real Estate signage for more than a decade, so we know your industry and we know what you want in a sign.